Even this year, we are proud to have been selected as the official transportation company of "We Love Football", an ambitious project that gives prestige to our city. 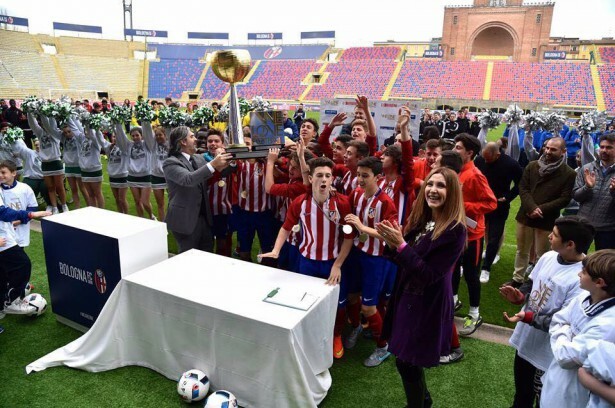 With the aim of spreading the values of solidarity and passion for the sport, in these days is taking place in Bologna a football Tournament with under 15 boys teams from different countries. In the picture, the winners of the 2016 Tournament receive the trophy by the promoter Marco De Marchi.